Chris is the General Manager at Atlas Direct Mail and one of the 3 Owner / Directors of Admail Ltd. With almost 20 years experience in the industry he can be information overload if you start him off but with good intentions, (you have been warned!) Hardworking and deeply passionate about Customer Satisfaction Chris frequently tailors unique solutions to Clients to achieve the best results utilising his in-depth knowledge and expertise from data manipulation to campaign management to all things postage, everything is considered and every benefit applied. 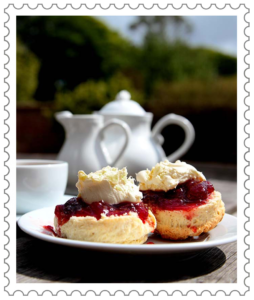 As an old Cornish boy, for him there is nothing better than a well made cream tea, with lovingly made hand crafted warm scones, delicious local clotted cream and homemade strawberry jam, except of course being by the sea listening to the waves crash against the shore but if you can have both at the same time that is Chris’ form of heaven! Sheryn is the Client Services & Operations Manager at Atlas Direct Mail and with her incredible attention to detail and proactive thinking is a fantastic asset to Atlas Direct Mail. A great Team Leader and known for thinking outside the box; getting the best out of everything we do. With an enthusiastic approach to every department Sheryn is a considerable talent in all things and a highly skilled member of Team Atlas. 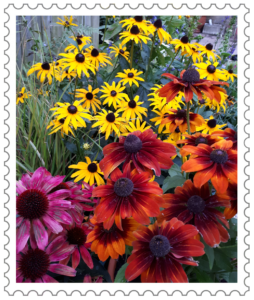 Sheryn is keen on sports, particularly tennis and has a fond love of everything outdoors, from windy walks to pottering about in the garden and visiting garden shows and events supporting her daughter’s nursery business. Julia is our Deputy General Manager and a Direct Mail tour de force. There is little (or nothing!) Julia doesn’t know in our industry from data processing to planning and scheduling, Julia can hold your hand through the entire process. Julia has been with Atlas Direct Mail since it began and is very much loved by Clients and Staff alike. 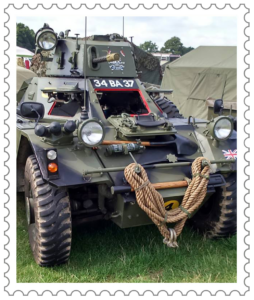 Julia’s vehicle of choice for a long time; this is The Ferret and was exhibited at Military and County Shows every summer across the South East, It is an armoured scout car and has a six cylinder Rolls Royce B60 engine, preselector five speed gearbox for forward and reverse. She says if you are a good driver you can go as fast backwards as forwards! Alex brings with her an unquestionable pedigree in Account Management together with a great knowledge of Direct Mail, making her a fantastic addition to the Team. Alex is highly skilled and adept in ensuring you get the best experience possible and will expertly manage your campaign from start to finish. Efficient, effective, professional. This has been Alex’s pride and joy for over 20 years! 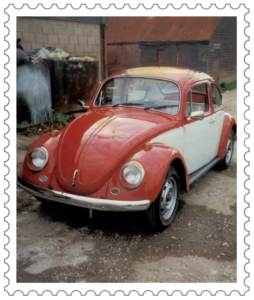 A 1974 VW Beetle, 1200 body with 1600 engine. It has travelled to many VW meets around the country and it has also been used for weddings. Originally a daily commuter, now in its’ retirement home but still her favourite car ever!